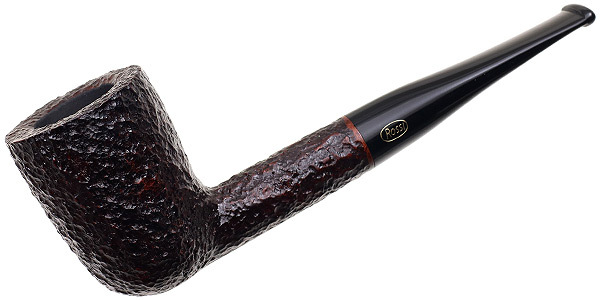 The "8412" is a deep and stout-walled, straight Dublin with a bit of extra visual weight to the bowl and a firm presence in hand. Here in Rossi's Sitting series, it features a flattened panel along the underside, allowing it to sit soundly on a flat surface. A great choice to recommend to customers looking for a new desk pipe, it comes dressed in a dark brown, deep-textured rustication and features a jet-black, oxidization-proof acrylic stem.